The sweetest time of year isn’t just for couples! 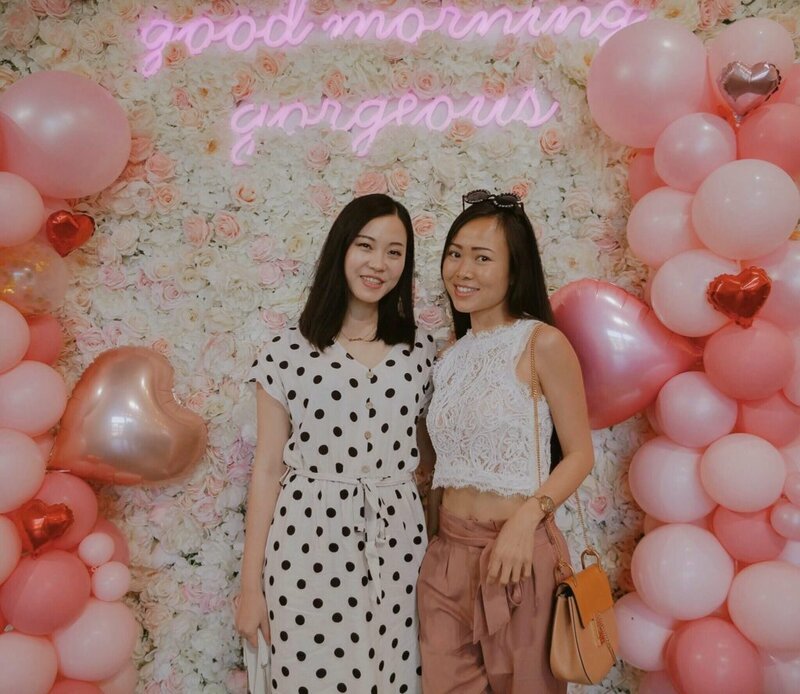 Galentine’s Day is an unofficial holiday that takes place the day before Valentine’s Day and is gaining more and more momentum over the years. It is a special day for ladies celebrating ladies and friends celebrating friends! Valentine doesn’t have to be all about romance. 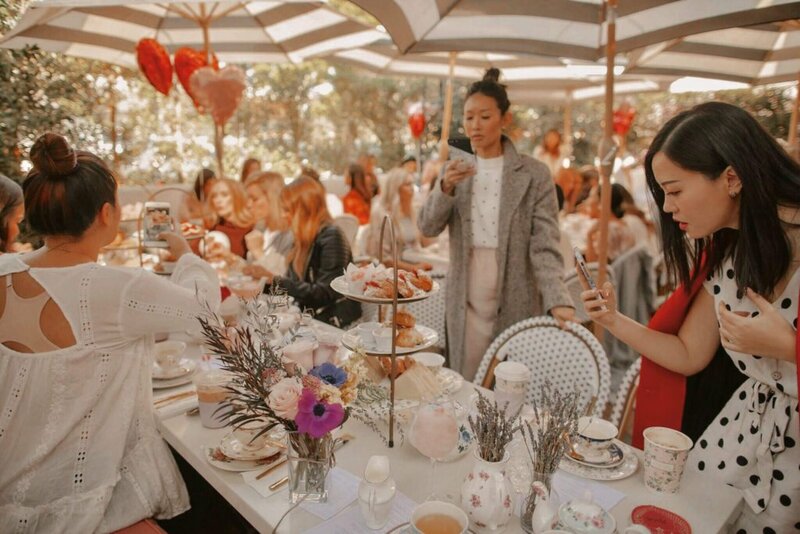 All love should be celebrated… and because you can never have too many excuses to get all your girlfriends together in one place! 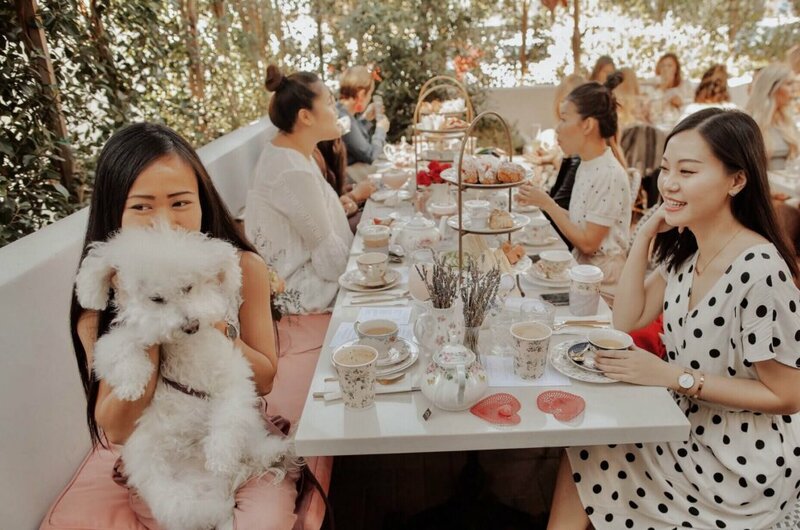 And what better way to celebrate Galentine’s Day than with a tea party! 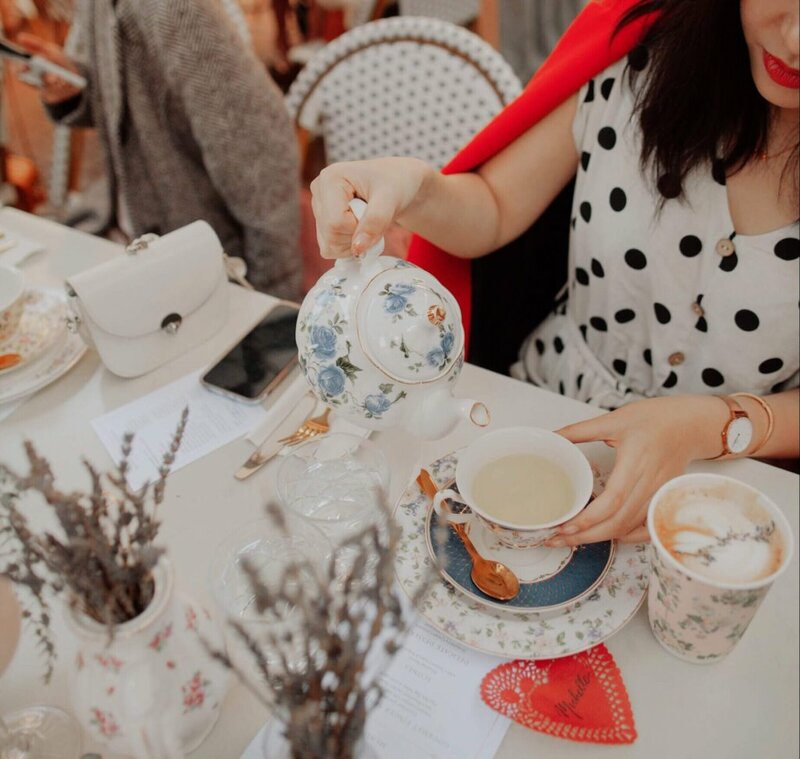 This year I had an honor to attend Morning Lavender‘s Galentine Afternoon Tea with other bloggers. We gotta enjoy all of the adorable, sweet and whimsical parts of Valentine’s Day with all the #bossladies. Just us gals gathering together to uplift, support and, most importantly, laugh. It’s the best therapy! 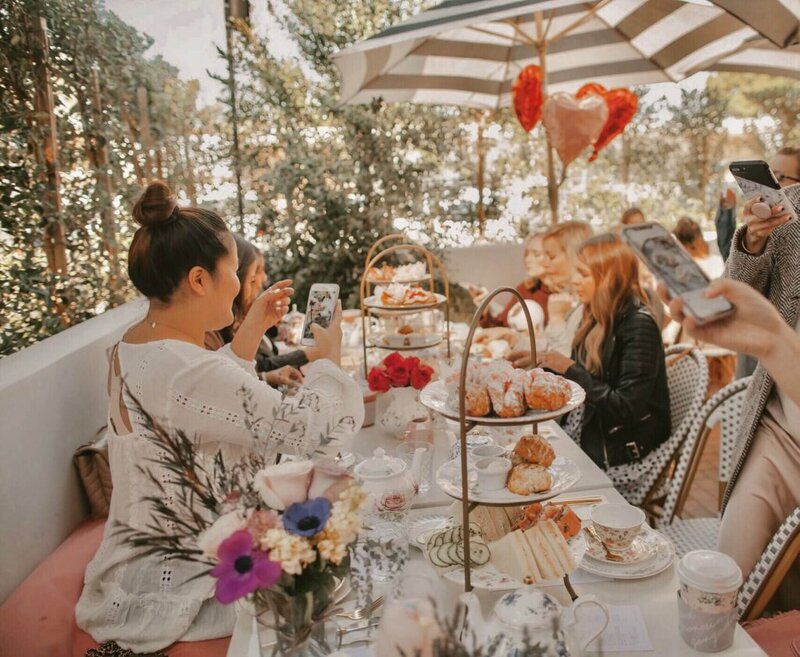 This tea party is such a fun way to bring together everything we love about Galentine’s Day! 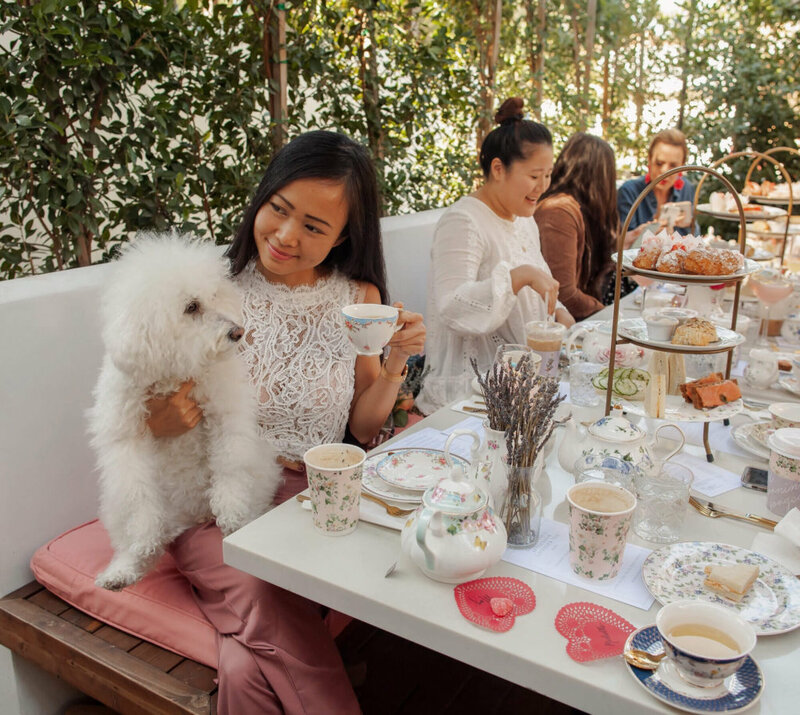 I was so thrilled when Michelle (@runwayonthego) invited me to be her plus one to Morning Lavender‘s Galentine Afternoon Tea Party. We met up about a year ago, and since then we have tried to see each other again but time just slips away on us. One month and more can pass by in the blink of an eye. Most of us lead busy lives, so at the beginning of this year, I decided to create more meaningful moments like these. 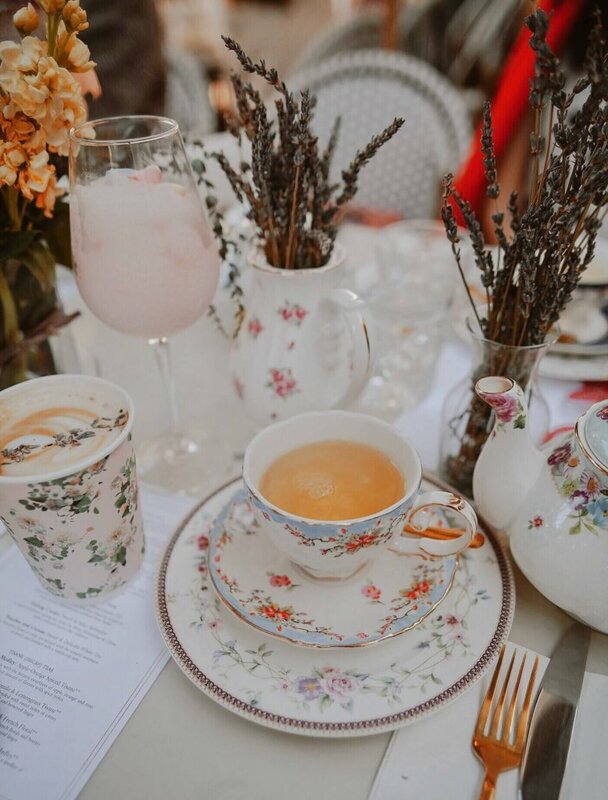 Morning Lavender is such a perfect venue to celebrate Galentine’s Day. It looked great on Instagram, but it was even better in person! 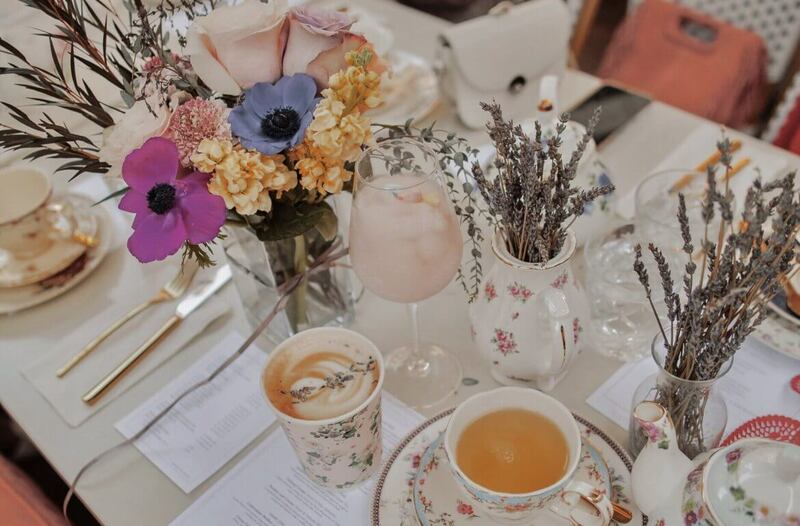 Pristine white marble countertops, fresh lavender in dainty vases, a flower wall….It’s a girly heaven with chic and trendy vibes. Morning Lavender is more than just a cafe. In fact, it started out as a boutique online clothing shop and now has its own store! Michelle and I were both wearing outfits from Morning Lavender Bouqtiue. The style of their clothing is classic and feminine. From dresses, swimsuits, to accessories, there is so much to choose from. The owners decided to open a cafe to go along with its boutique and it worked out perfectly! Half of the building is the cafe and the other half is the clothing boutique. 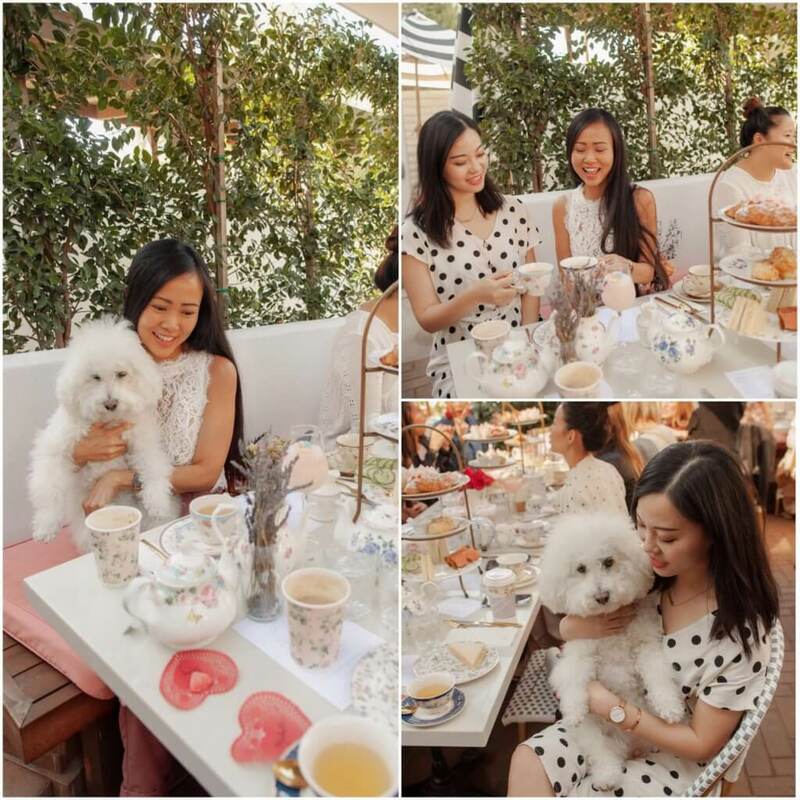 Perfect for a fun shopping and tea day for ladies! They also have an outdoor seating area that’s amazing and would be lovely on a warmer day. 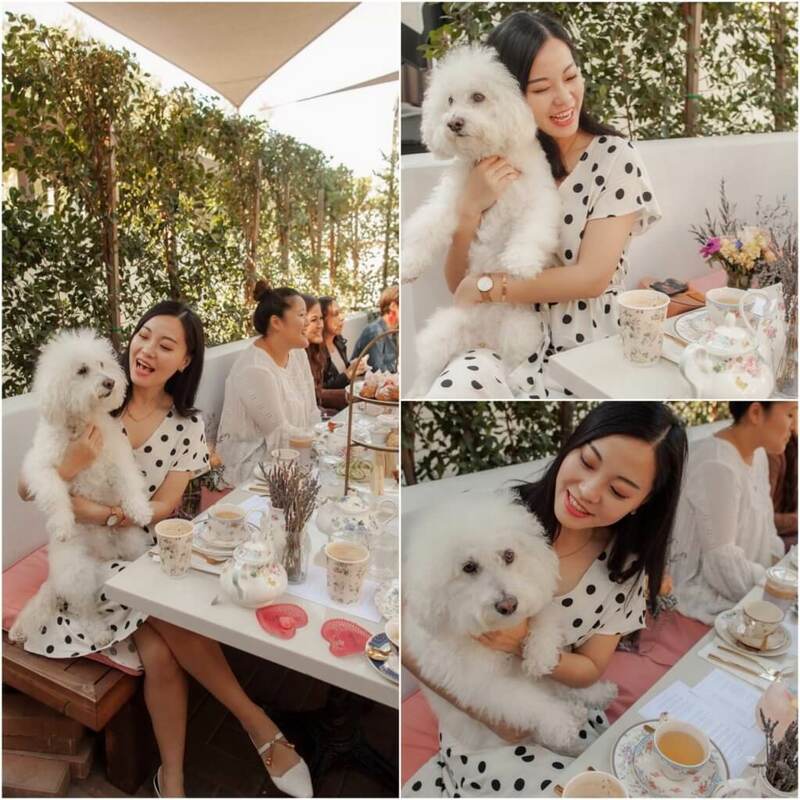 A perfect place to enjoy a conversation over coffee with close friends or soak up some rays with your fur baby. Now let’s talk about their tea service. 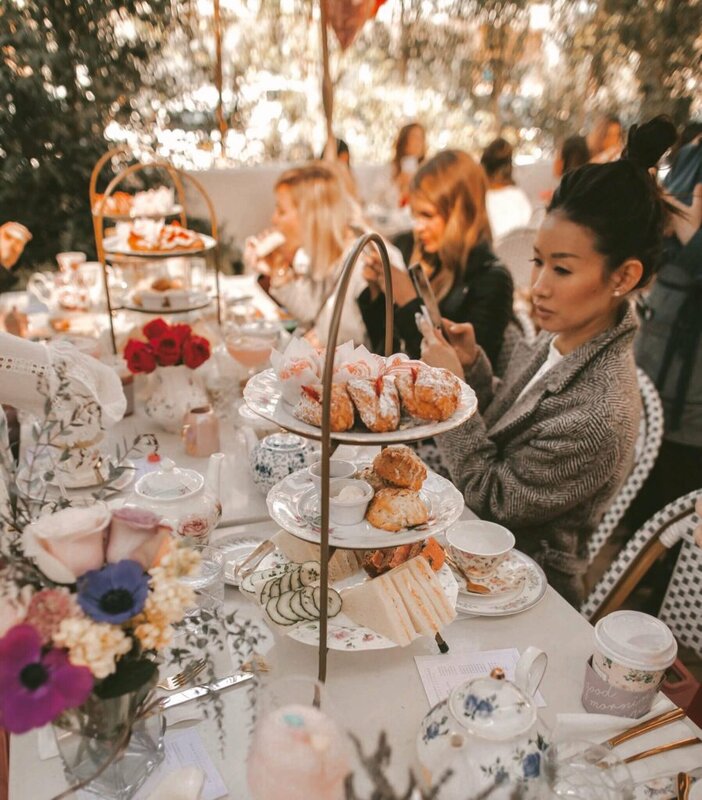 Being a lover of vintage decor, I was in awe with their vintage floral China tea sets. You really can see the attention to detail! 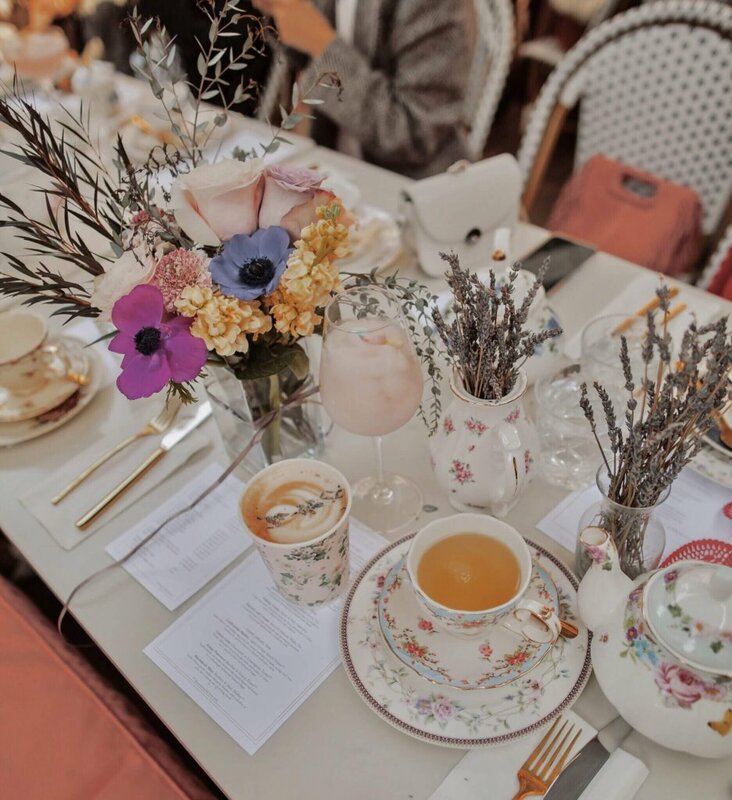 Their Lavender Afternoon Tea is the modern take on traditional British Afternoon Tea. Saturday and Sunday by reservation only. Each reservation is for 2 hours and they begin at 10am, 12:30pm, and 3pm. The whole thing was so much fun and it was great getting to spend some time with some friends. Valentine’s Day doesn’t have to be all about romance. It is just as important to show your friends some love. 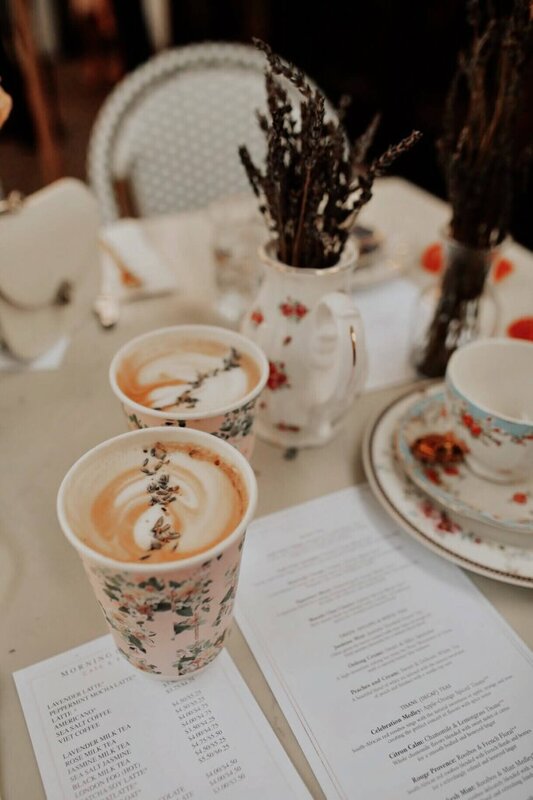 And Morning Lavender is a delightful dining and shopping experience. 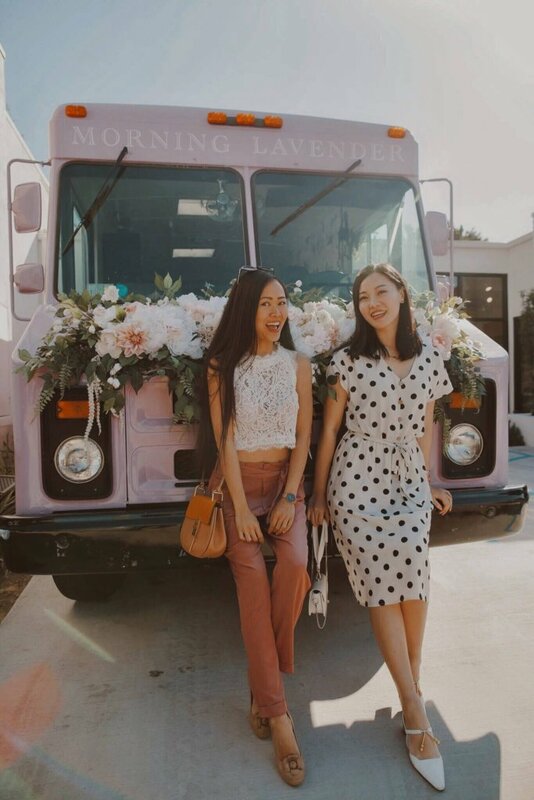 So for anyone looking for a unique Galentine idea, head on over to Morning Lavender. Nothing but good times and tasty teas await! ****Thank you to Morning Lavender for kindly sponsoring this post. All opinions are 100% honest & completely my own.